Often I hear about those who have trouble finding the right gift for their wine lover companion, family member, friend or associate. The problem is not knowing of a source one can trust to be truly genuine, offering authentic old world quality, and with world class style in design for fine wine stemware, corkscrew wine-openers and more. A wine lover wants something that matches the intensity of their love for fine wine; they want something that is a valid and thoughtful expression of an intangible feeling. 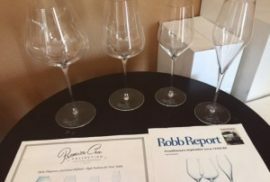 Being a wine lover or obsessed with fine wine is a completely cerebral experience; involing all of the senses – sense of smell, taste, feel, and sight. It’s a completely personal experience on the deepest level. Additionally, enjoying a really fine wine is a completely transending, etheral experience, where you can feel your chi. 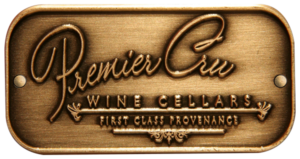 Premier Cru Collection is the physical counterpart to that feeling . . .
A Brand Innovation where one can find “Only Handmade” items that are artistic beautiful & wine related. 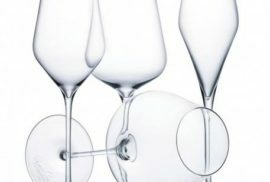 Our flagship offering is mouthblown, handmade, lead free crystal stemware that is artistically stunning and beatiful. Offered in a Set of Burgundy, Bordeaux, white wine, and champagne stems. These handmade works of art provide “High Fashion For Your Table” and are a true artistic expression that complement each other. Another stunning item is the offering of handmade corkscrew wine openers, all hand made with hand engraving on some. We have, 10,000 to 50,000 year old fossilized mammoth ivory, ivory crust, and mammoth bone, some with diamond, ruby, and topaz, and some more down-to-earth, subtle attributes like African ebony wood, turquoise, and vinewood – all made with the finest steel, 12c27 Sandwik steel from sweden. And with the saying: “What do you give the person who has everything?”, the answer is: “You give them something that they didn’t know existed”: Premier Cru Collection, world class, only-handmade items for the deserving wine lover in your life. Sometimes the answer to something is right under our nose when we first begin to look . . . in this case it’s Premier Cru Collection, an online boutique, and it is also available at Woodland Hills Wine Company in Woodland Hills and K & L Wine Merchants in Hollywood. Make This Holiday Season Magic With Prmier Cru Collection “Essence of the Fine Wine Experience . . .” and show a wine lover “you get it” 104.236.42.189/boutique (310) 289-1221 and we’ll recommend the perfect gift for your situation.